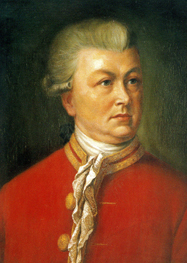 Birth of Samuel Heinicke (1727-1790) in Nautschütz, Germany. 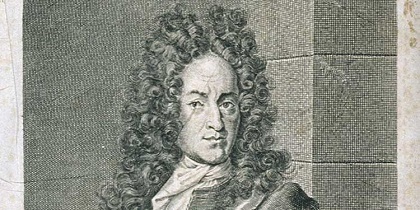 Heinicke became interested in the problems of the deaf after reading Surdus loquens, a book in which it was described how a Swiss physician had succeed in teaching deaf persons to speak. In 1778 he opened a school for the deaf. He developed the system of teaching lip-reading as opposed to signs, since he felt it was best for the deaf to understand language as normally used in society at large. Birth of Samuel Hahnemann (1755-1843) in Meissen, Germany. Hahnemann completed his M.D. at the University of Erlangen in 1779. 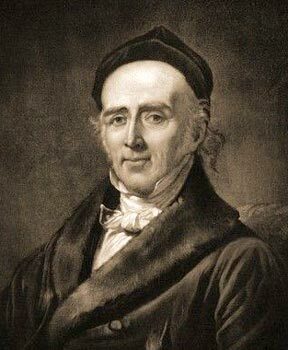 Hahnemann was a German physician best known for creating a system of alternative medicine called homeopathy. It is based on the idea that small doses of toxins have curative powers. This principle, like cures like, became the basis for an approach to medicine which he gave the name homeopathy. 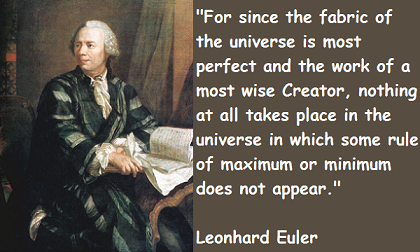 His theory is contained in the book Organon der rationellen Heilkunst (1810). 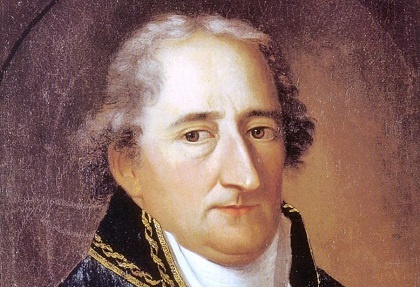 He was driven out of Leipzig by the medical establishment and moved to Paris where he was quite popular. Birth of Johannes Janssen in Xanten, Germany. 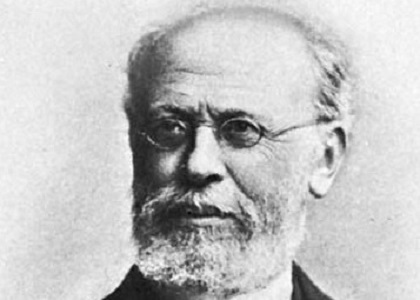 Janssen is noted for his eight volume Geschichte des deutschen Volkes seit dem Ausgang des Mittelalters (1876-1894). The history made important contributions to German cultural history and especially 15th century studies, but since the viewpoint was quite blatantly pro-Catholic and anti-Protestant, the book became quite a controversial matter. Birth of Henry Villard in Speyer, Germany. Villard changed his name from Ferdinand Hilgard when he immigrated to the United States in 1853. In the U.S. he wrote first for German-American newspapers and later by larger mainstream papers including The New York Herald and The New York Tribune. He bought The New York Evening Post in 1881. He then turned to investments in railroads and became the president of the Oregon and California Railroad and the Oregon Steamship Company. In 1881 he gained control of the Northern Pacific. In 1889 he founded the Edison General Electric Company and later changed its name to the General Electric Company in 1893. 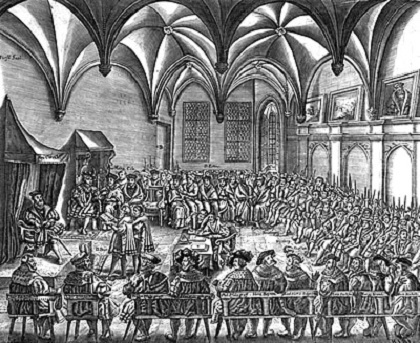 Birth of Robert Faesi in Zürich, Switzerland. Faesi wrote plays, poetry, short stories and literary criticism. He was a professor of German literature at the University of Zürich. Among his literary works are, Aus der Brandung (1917), Füsilier Wipf (1917), Züricher Idylle (1908) and Die Stadt der Väter, Die Stadt der Freiheit, Die Stadt des Friedens (3 vols. 1941-52). 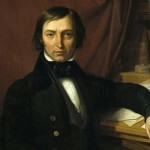 He wrote the libretto for Willy Burkhard’s opera, Die schwarze Spinne. His published correspondence with Thomas Mann appeared in 1962. Death of Moritz Benedikt Cantor in Heidelberg, Germany. 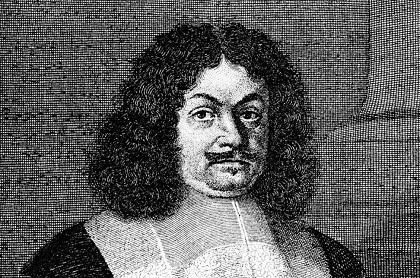 Cantor was a professor of mathematics at the University of Heidelberg. 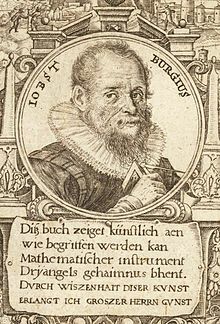 He is considered one of the greatest historians of mathematics. Death of Hugo Stinnes (1870-1924) in Berlin, Germany. An Industrialist, Stinnes beginning with a modest operation established by his grandfather (Stinnes Konzern) in coal mining, expanded the business to include steel mills, banks, and electrical companies as well as transportation (Hugo Stinnes GmbH). 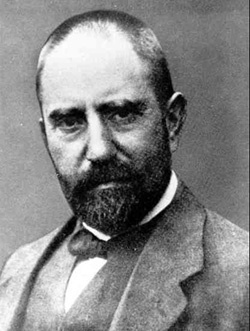 During World War I he profited greatly from the supply of war materials. A member of the Deutschnationale Volkspartei, he was elected to parliament in the early years of the Weimar Republic. The West German parliament passes the Montanmitbestimmungsgesetz, a law giving German workers a voice in the decision making processes of companies in the iron, steel and coal industries.